Sultana is a pale green, and oval-shaped seedless grape. The Sultana grape is originated in Manisa, Turkey. It is different from Raisin in that it is lighter in colour (in terms of quality, the lighter the better). 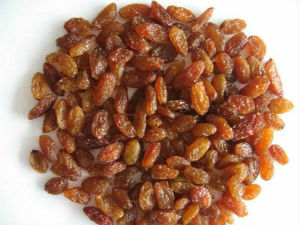 In addition Sultana is of seedless variety. They tend to be plumper, sweeter and juicier than other raisins. Without further processing, the sultana can be eaten as a snack and used in a variety of dishes such as fruit cakes and bath buns. Sometimes it can be prepared by soaking in water, fruit juice or alcohol.